I am a lecturer in marine ecology, and programme leader for the BSc Marine Biology & Oceanography. I teach a range of courses from statistics to biological oceanography and marine vertebrate ecology. 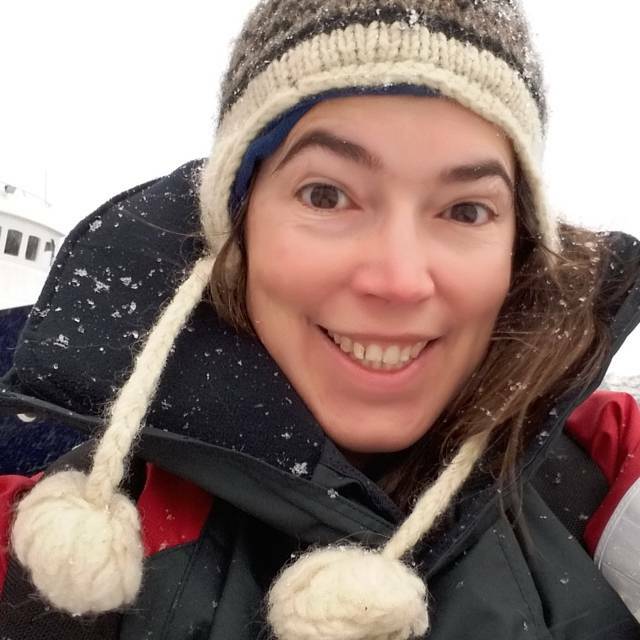 My research is focused on the ecology and conservation of marine vertebrates (marine mammals, seabirds and fish), habitat modelling, bioacoustics, and human impacts on marine species (e.g. impacts of increasing noise in the sea & of marine renewable energy devices). Lead the Marine Vertebrates Research Unit & member of the Marine Conservation Research Group. I also supervise around 8 undergraduate student projects, and 2 masters student projects a year. (iv) use of passive and active acoustics to understand the behaviour and distribution of marine vertebrates (fish & cetacean). 2018-ongoing; PI Cefas (£5K): Plymouth hub for the UK marine noise monitoring network. 2016 SoMSE small research grant (£2500): 'Distribution and relative abundance of small cetaceans in southwest coastal waters and their exposure to anthropogenic noise', with Dr Simon Ingram & Tom Crichton. 2013 NERC MREKE (Marine Renewable Energy Knowledge Exchange) grant (£10,000): 'Use of static passive acoustic monitoring (PAM) for monitoring cetaceans at marine renewable energy installations (MREIs)', guidance document to Marine Scotland in collaboration with University of Exeter, SAMS & University of Aberdeen. Scales, K.L., Alvarez-Berastegui, D., Embling, C.B., Ingram, S.N. (2017) Chapter 3: Pelagic Seascapes, in Pittmann, S.J. (ed) Seascape Ecology, Wiley-Blackwell, pp 57-88. Embling, C.B., Sharples, J., Armstrong, E., Palmer, M.R., & Scott, B.E. (2013) Fish Behaviour in response to tidal variability and internal waves over a shelf sea bank. Progress in Oceanography 117: 106-117. Scott, B.E., Webb, A., Palmer, M.R., Embling, C.B., Sharples, J. (2013) Fine scale bio-physical oceanographic characteristics predict the foraging occurrence of contrasting seabird species; Gannet (Morus bassanus) and storm petrel (Hydrobates pelagicus). Progress in Oceanography 117: 118-129. Booth, C.G., Embling, C., Gordon, J., Calderan, S.V., & Hammond, P.S. (2013) Habitat preferences and distribution of the harbour porpoise Phocoena phocoena west of Scotland. Marine Ecology Progress Series 478: 273-285. Embling, C.B., Illian, J., Armstrong, E., van der Kooij, J., Sharples, J., Camphuysen, K.C.J., & Scott, B.E. (2012) Investigating fine-scale spatio-temporal predator-prey patterns in dynamic marine ecosystems: a functional data analysis approach. Journal of Applied Ecology 49: 481-492. Embling, C.B., Gillibrand, P.A., Gordon, J., Shrimpton, J., Stevick, P.T., & Hammond, P.S. (2010) Using habitat models to identify suitable sites for marine protected areas for harbour porpoises (Phocoena phocoena). Biological Conservation 143: 267-279. Gillespie, D., Dunn, C., Gordon, J., Claridge, D., Embling, C.B., & Boyd, I. (2009) Field recordings of Gervais' beaked whales Mesoplodon europaeus from the Bahamas. Journal of the Acoustical Society of America 125(5): 3428-3433. Embling, C.B., Fernandes, P.G., Hammond, P.S., Armstrong, E., & Gordon, J. (2005) Investigations into the relationship between pelagic fish and dolphin distributions off the west coast of Scotland. ICES CM 2005/R:08. Robbins, J.R., & Embling, C.B. (2017) Relative abundance of common dolphins in the English Channel, Celtic Sea & Bay of Biscay. Report to ORCA. Griffiths, J. & Embling, C.B. (2016) The state of Europe's whales & dolphins: distribution and range of cetaceans in Northeast Atlantic waters 2006-2015. Report to ORCA. Embling, C.B., Piechaud, N. (2016) Assessment of wider Scottish Shorewatch sites for monitoring cetacean populations around Scotland. Report to WDC. Embling, C.B., Piechaud, N. (2015) Determining indices for monitoring long-term trends in cetacean distribution and relative abundance from ferry data. Report to ORCA. Embling, C.B.,Wilson, B., Benjamins, S., Pikesley, S., Thompson, P., Graham, I., Cheney, B., Brookes, K.L., Godley, B.J., & Witt, M.J. (2015) Use of static acoustic monitoring (PAM) for monitoring cetaceans at marine renewable energy installations (MREIs). NERC-MREKE Guidance document for Marine Scotland. Embling, C.B., Doherty, P.D., Garrett, J., Godley, B.J., & Witt, M.J. (2013) Chapter 2: Noise emissions to water. In: Marine emissions to water: impact on marine life & potential future regulations. (Eds: Fileman, T., & Vance, T.) Report to Rolls Royce. Truebano, M., Embling, C.B., Witt, M., Godley, B., & Attrill, M. (2013) Chapter 2: The potential impacts of marine renewable energy on marine mammals. In: Marine Renewables, Biodiversity & Fisheries (Ed: Attrill, M.). Friends of the Earth briefing paper. Conley, D., Magagna, D., Greaves, D., Aires, E., Chambel Leitao, J., Witt, M., Embling, C.B., Godley, B.J., Bicknell, A., Saulnier, J.-B., Simas, T., O'Hagen, A. M., O'Callaghan, J., Holmes, B., Sundberg, J., Torre-Enciso, Y., & Marina, D. (2013) Report on the analysis of the Environmental Assessment Experience for wave energy. SOWFIA Deliverable 3.5 - work package 3 final report. Magagna, D., Greaves, D., Conley, D., Chambel Leitao, J., Aires, E., Embling. C.B., Godley, B.J., Witt, M.J., Simas, T., Saulnier, J.B., Mouslim, H., O'Callaghan, J., O'Hagan, A.M., Holmes, B., Torre-Enciso, Y., & Sundberg, J. (2012) Development of a Data Management Platform for the integration of European wave energy impact assessment datasets. 4th International Conference on Ocean Energy, Dublin. Hammond, P.S., Northridge, S.P., Thompson, D., Gordon, J.C.D., Hall, A.J., Duck, C.D., Aarts, G., Cunningham, L., Embling, C.B., & Matthiopoulos, J. (2006) Background information on marine mammals for Strategic Environmental Assessment 7. Report to Geotek. * School activity (Yr1) 'Marine mammals and sounds of polar regions', Sir Robert Geffery's School, Landrake, March 2018. * Technology showcase, Plymouth University (25-26th January 2018) - stand & activities: 'guess the marine sound'; 'CSI marine mamal skull'. * School activity morning (Yr 12) 'Magic of marine sound', Devonport High School for Girls, May 2016. * Mentor for the University of Plymouth Women's network.